Those who have also followed my on facebook realize I am posting on this blog a few days behind, because you saw Cruz de Ferro referenced last week. This was an extremely heavy day for me. 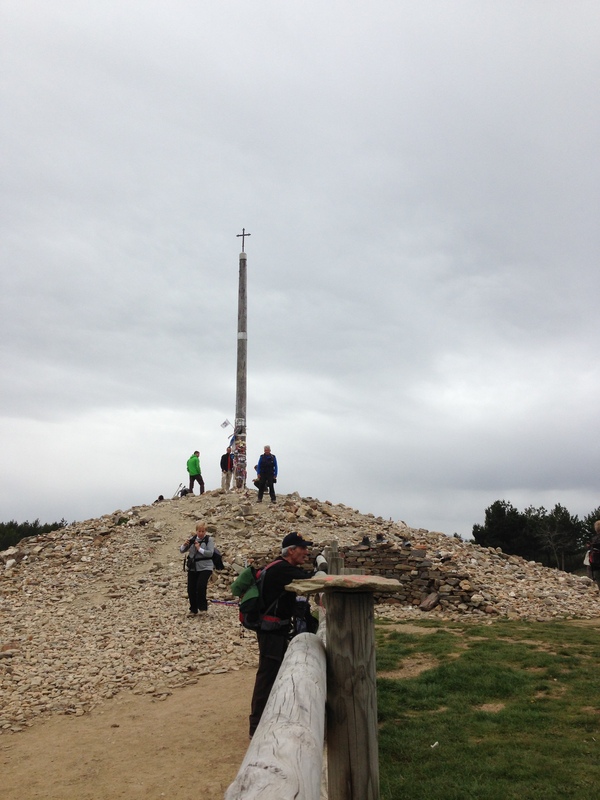 I approached the Cruz without really remembering it was only a few kilometers ahead. Something felt really strange. I was alone, and hadn´t seen any of my friends in a while, maybe that was it. No it jusrt really felt different. Maybe I was just getting weary, I checked the book for the next town. I had passed through Foncebadón, and saw that the Cruz fe Ferro was now less than a Km away. I placed my hand into my left pocket to feel the two stones I had intended to leave there, at the foot of the cross. I won´t really say much more about today. 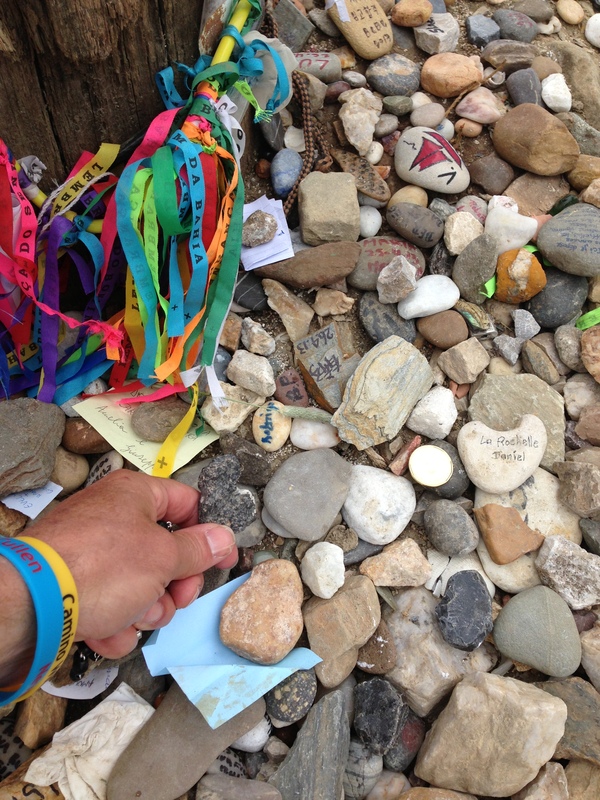 I spent quite a while there, place the two stones at the foot of the cross. My own, and one given to me by Father Tony when he gave me the pilgrim send-off blessing at Mass two weeks earlier. He had brought that stone back from the Holy Land and asked me to place it there, symbolically placing the burdens of members of our church community. And I placed my own stone there as well. A while later, as I climbed down from the mountain of stones left by earlier pilgrims, I finally looked up to see another friend named Edward, whom I had also met around the time I met Franz and Bastion. He also had tears running down his cheeks. Lots of weary hearts on the Camino. Burdens to leave behind. I lifted my hands in praise as I walked away, leaving the stone at the cross. I turned to see Edward smile. Much Love on the Camino.